The word otak actually means brain. This word doesn't exactly sound appetizing to name a food, right? But behind the name, is actually a delicious Indonesian delicacy. 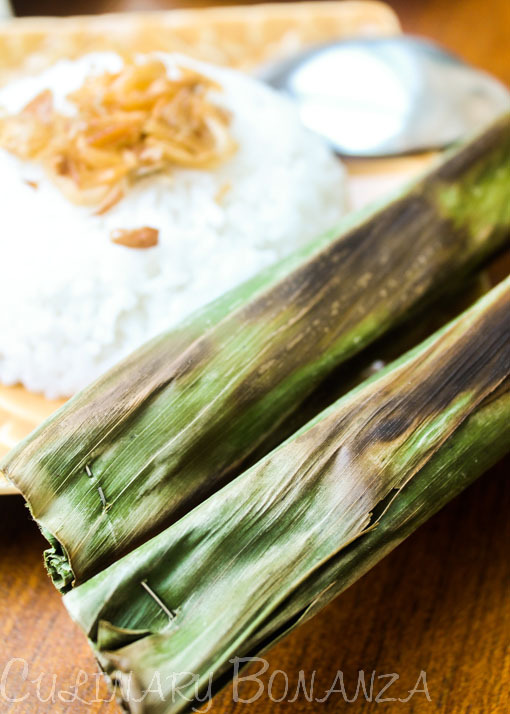 Otak-otak is a type of spiced fish cake, wrapped as strips in banana leaves, grilled over charcoal and is normally eaten with peanut sauce called bumbu pecel. 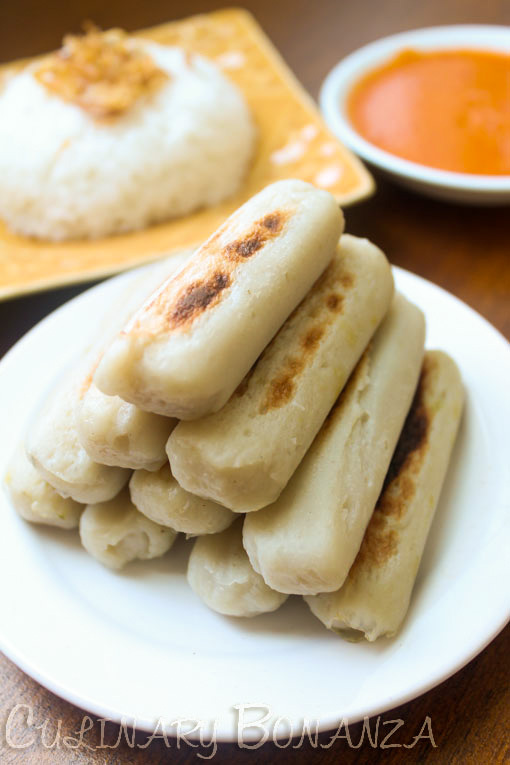 The fish cake is made from fish paste mixed with starch flour and spices, resulting in slightly chewy texture. Apparently, we can find the same delicacy in our neighbouring countries like Singapore and Malaysia too, where it is sometimes spelled as otah. Although their version is slightly different in taste and texture, which takes a literal reference to the texture of a brain: mushy and soft. For years, my family already has one favourite otak-otak maker that's located near home. The status quo has never been challenged for years, because those that we found at other places/restaurants were either too chewy, did not taste original or smell too fishy. So, when when I heard about Otak Otak Si Dia, I was actually quite curious to test it. - It is reasonably priced. At IDR 4,000/stick, you can be sure that one is not enough. - It does taste GOOD! Each strips is just at the right level of chewiness, and the umami flavour is quite addictive to be honest. I had it for lunch with just plain rice and fried shallots...It was simple, but a hearty lunch. - It delivers right to your doorstep. For orders >50 sticks, delivery is free, while <50 sticks will incur IDR 20,000 delivery charge. Do I recommend this? Yes! 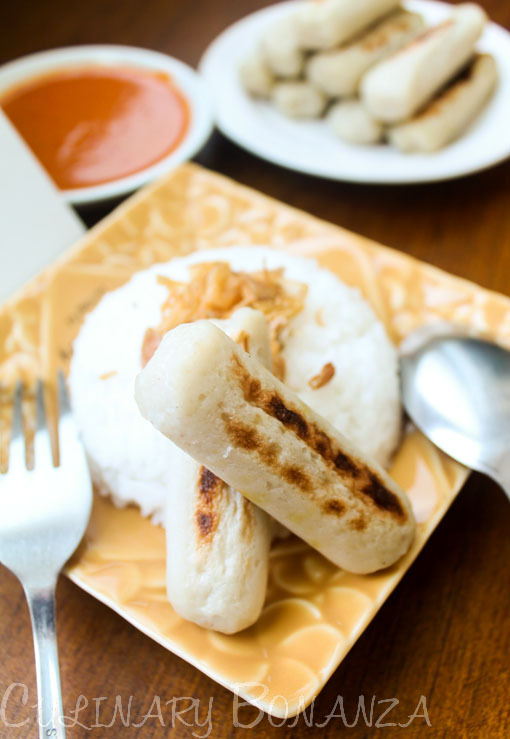 This makes a really good souvenir that you can bring home from Jakarta or as a gift for friends visiting from overseas, to bring to a potluck party, as an afternoon snack, tea time, lunch, dinner...your call! Now, if someone asks me to bring souvenir from Jakarta, no doubt, Otak Otak Si Dia will be among the top of my list. Disclaimer: this post is not a paid advertorial. The recommendation is purely my personal opinion.